From September 21 through November 30, 2011, fans of Pillsbury baking mixes, frostings and flours can visit www.pillsburybaking.com to enter the Pillsbury People Celebrate More Photo Contest. Fans will be asked to submit a photo capturing an everyday family celebration, plus a brief description (200 words or less) describing the moment and how the family experience made them feel. Ten finalist photos and captions will be chosen and posted on www.pillsburybaking.com for a nationwide online vote to help decide the winner beginning in January 2012. 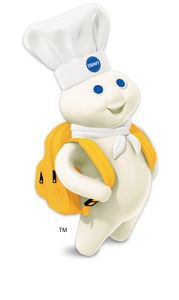 The winner will also be invited to the ultimate hometown celebration for the Pillsbury Doughboy’s birthday this spring.